“Money won’t buy you happiness” … but poverty can buy you a whole lot of misery. 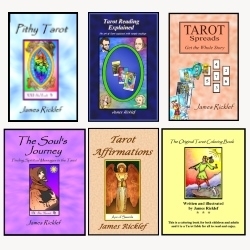 Pithy Tarot card meanings are short, easy to remember meanings, and they will even stimulate further insights when called to mind during a reading. In addition, they can be fun. Thanks, Lily. Yes, I’m thinking about that.